Did tu want Tara to return to Buffy in series 7? Have tu seen her movie Chance? Did tu see her & like her in Supernatural? la elección de los fans: Yeah I saw her and thought she was fantastic. if amber and alyson were lesbianas in real life would tu want them to be together? is Tara your least favorito! charecter? why o why not? Does anyone know what else Amber Benson has been in o has done? and where can i find them as im in australia :) Thanks! Rachel Caine, autor of the #1 internationally bestselling Morganville vampiros young adult novels, announced that in partnership with Blake Calhoun (Loud Pictures) she plans to develop her hit series as a high quality web TV show. The partners will fund the production of the show's first season through Kickstarter. "We believe that the huge international following for the series of novels, as well as fans of Blake Calhoun's award-winning web series, give us the best possible chance to see this property come to life," dicho Caine. You're fifty light years from earth, with no way inicial and with no one to talk to except a cheeky computer. What would tu do? Biography, movies, foros and more. a comment was made to the poll: Did tu see her & like her in Supernatural? a comment was made to the poll: if amber and alyson were lesbianas in real life would tu want them to be together? a comment was made to the poll: Do tu think Tara was the most under-used character in buffy? 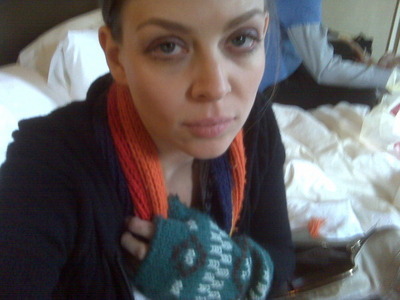 ONLINE Interview/Contest with Actress and autor Amber Benson!